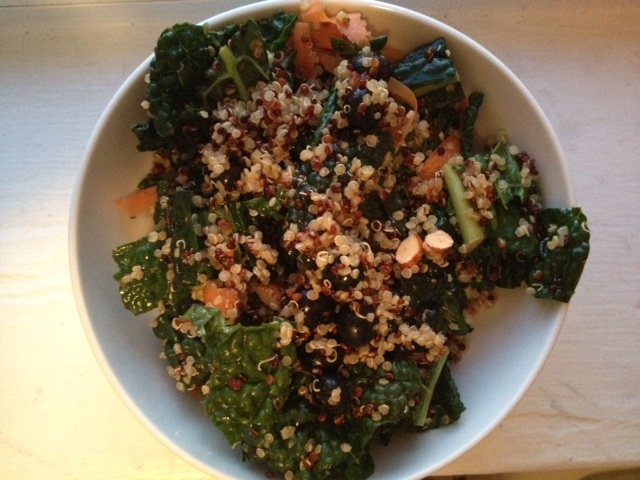 Quinoa Kale Salad | shirley does Feminism. Detoxing is amazing. 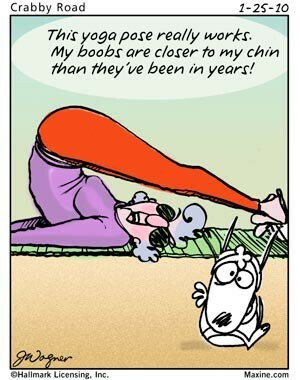 It is so wonderful to have your body love and thank you for providing it with good nutrients. Additionally I am back at the studio and all is right with the world. It is so critical to consistenly remind ourselves to turn inward and take care of ourselves. When we forget this we loose balance which puts others out of balance as well. I want to create peace for those around me and for myself. Yoga is an essential piece to this peaceful puzzle. 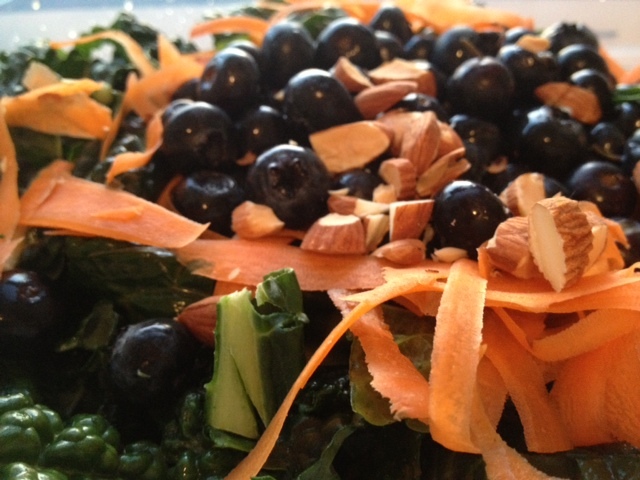 I have had made detox kale salads for dinner and they have been filling and packed with goodness. This recipe is light and wholesome. I adapted the recipe to fit the ingredients I have. For complete instructions click here. 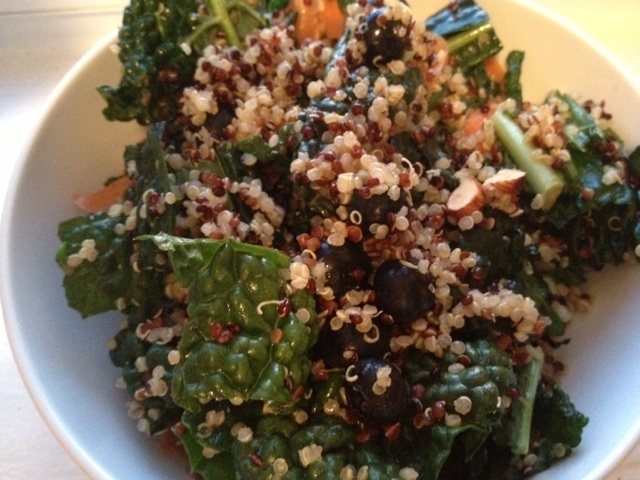 Mix salad ingredients in a separate bowl while quinoa is cooking. Keep dressing separate. 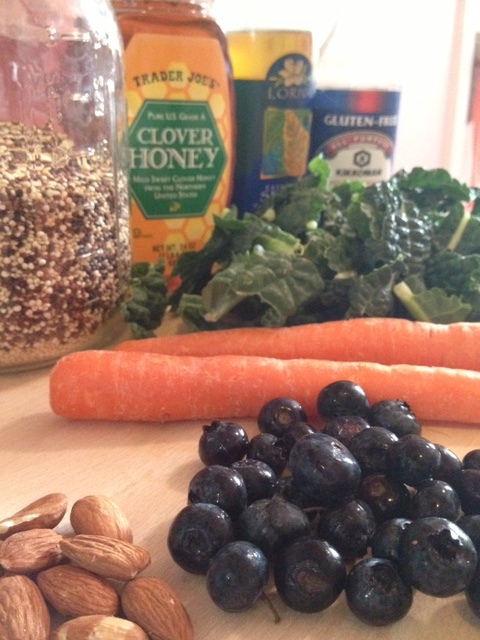 Mix all ingredients together once quinoa is cool.